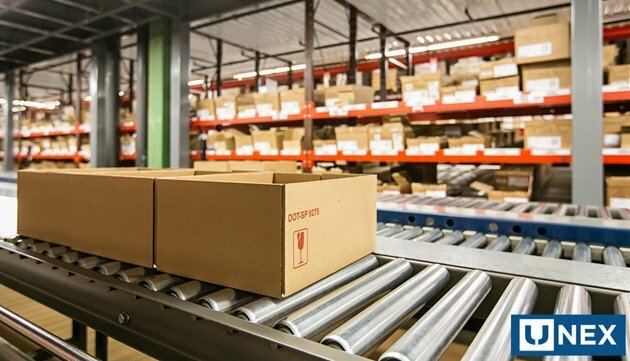 With the exponential growth of e-commerce orders, distribution centers have had to change their operating procedures. With storefronts closing, DCs that service brick & mortar locations only must change their order fulfillment processes to keep up with the increase of picking greater volumes of individual items. In omni-channel fulfillment, all the resources of the supply chain are focused on transparently serving a single shopper who has placed a single order. Many traditional warehouse operations are not set up to efficiently accommodate a large range of orders with varying units and lines per order - characteristics typical of multi-channel orders. The omni-channel world needs to have orders picked quickly and accurately. Using multi-level racks for pallets, carton flow or with shelving increases the number of storage locations available for the ever-growing number of SKUs typical of an omni-channel warehouse. High-density pick modules are often used in omni-channel warehouses. They are multi-level; a combination of mezzanines, conveyors, carton flow racks, pallet racks, static racks and other equipment that delivers goods to pickers at each level. By stacking the racks, less space on the floor is taken while pickers can take less time to pick orders from the rack of SKUs that are close by and easy to reach. Multi-level pick modules use FIFO (first in, first out) stock rotation by using tilted shelves that uses gravity flow to deliver products to the pick face. With FIFO, order pickers are presented with the product in the right order to be picked or when you want to make sure older products (ones that have been in storage a while) are picked first. If using carton flow in your omni-channel picking operation, cartons can be replenished from the back of the shelving while picking goes on at the front. Pickers can pick from open boxes or individual items on shelves. Pallet flow systems allow the pallet to flow forward once is has been picked. Conveyors can tie everything together in the picking operation by bringing items to the picker or transporting empty cartons and pallets away so they can be recycled. This combination of material handling solutions allows DC's to shave valuable seconds off of each order picked and allows them to accommodate the ever-increasing demand of e-commerce channels. At UNEX, many clients use our Pick Shelves, which are customizable and easy-to-mount, to improve pick rates. These are angled to provide clear visibility and accessibility at the pick point. Angled shelves boost picker productivity by 30% while increasing space utilization up to 50%. A pick module system is often the best choice for a high-volume, high throughput distribution center operation – the typical omni-channel DC. Let our Pickologists help you improve your picking operations and speed throughput in your omni-channel warehouse so you can keep up with your omni-channel orders.